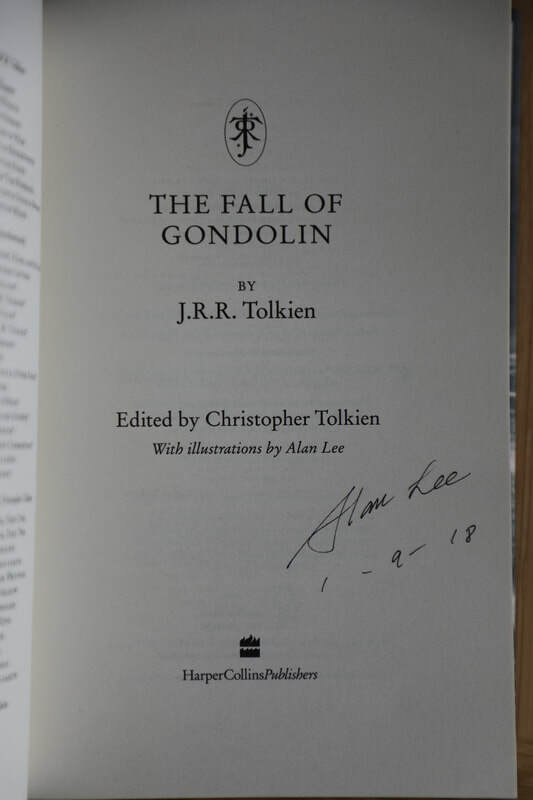 Slipcased limited First edition, first impression, signed and dated by the illustrator Alan Lee at a public event in Bath, England on 1st September 2018 (accompanied by a copy of the event ticket). 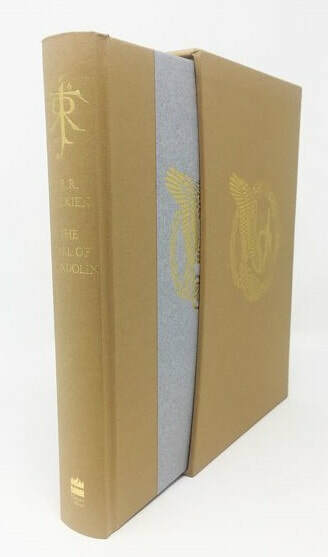 Quarter bound eith grey boards, stamped in gold foil with a unique motif created by Alan Lee and presented in a matching slipcase, printed on superior quality paper with a silk ribbon marker. Contains a red and black map of Beleriand drawn by Christopher Tolkien which appears as a fold out sheet. Features an exclusive colour fronticepiece Painting by Alan Lee, eight additional colour paintings and fifteen additional pencil drawings by the artist. ​Synopsis : In the Tale of The Fall of Gondolin are two of the greatest powers in the world. There is Morgoth of the uttermost evil, unseen in this story but ruling over a vast military power from his fortress of Angband. Deeply opposed to Morgoth is Ulmo, second in might only to Manwë, chief of the Valar. Signed: Signed and dated by the Author with copy of event ticket.